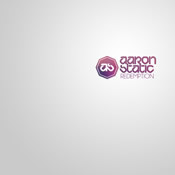 Aaron Static’s background as a DJ definitely shines through on his new release, Redemption. In laying out the eleven tracks here, he charts a course that takes us from “exotica electronica” chillout to dubstep influences and glitch through short, mostly spoken word tracks that carry a theme through the mix. There is a lot of familiarity to the flow, but it’s so slick and hook-packed and well put-together, that’s hardly a bother. I defy you to not groove openly to”Tipping Point.” It’s a high-energy, fast-paced techno tune driven forward on a thumping drum line and iced over with a cool, soulful vocal sample to sweeten the pot. It packs a bit of an 80s electropop feel, which I love. “Intrepid Journey” opens as a soothing space ballad with piano as its base, then laces in dubstep-style wub wubs to give it a deeper funk. The blend of styles here is excellent, and it’s got a potent emotional core that grows as it moves forward. “Laura’s Song” offers up a spacey chillout vibe with intricate glitch percussion weaving a complex backdrop. While Redemption doesn’t go out of its way to do anything overly new, what Aaron Static does here is done impeccably well. The release holds your attention, and the familiar feels just anchor the album rather than coming off as being imitative. This one needs to be turned up when played. Dive in and dig it. i had previously failed to notice how good it was. After realizing my mistake, I downloaded the album immediately. Great stuff. It reminds me of the days when I first discovered the existence of netlabels and was finding free music that was better than a lot the stuff I’d paid for.